Following Britain’s exit from the EU, many investors may be seeking to relocate their investments overseas. With Monaco offering many alluring investment options, now is a better time than ever to think about exploring your options. We’ve compiled this introductory list of the best private banks in Monaco. High net worth individuals have for a long time turned towards the private banks of Monaco where favourable legislation has created attractive banking schemes. In accordance with Monegasque law dated 9 July 1997, the management, transmission and advisory activity of client assets are regulated exclusively in the Principality, guaranteeing the protection of savers and investors. In line with international banking systems that are increasingly less service driven with offshore call centres and computer generated correspondence, and increasingly more concerned with servicing the balance sheet and the shareholder rather than the client, the private banks have become ever more attractive to foreign investors. The personalised aspects of private banking have contributed to a rate of growth in the industry market of as much as 7% over the past 7 years in France. 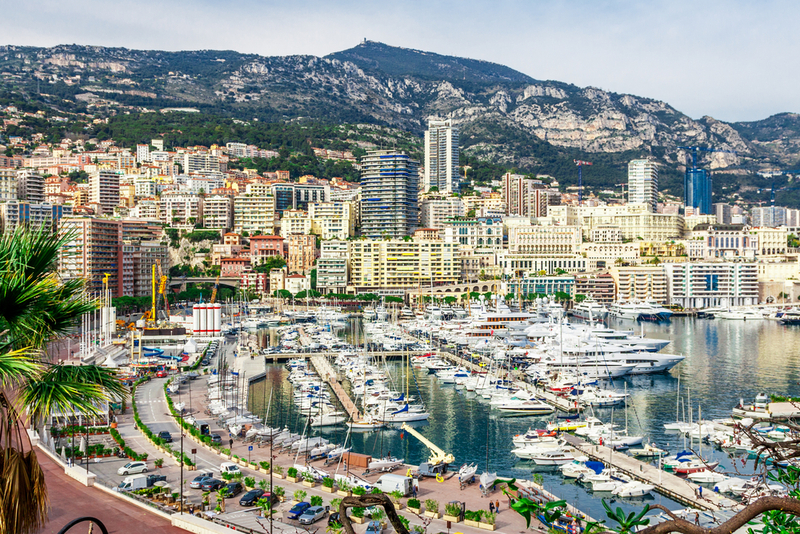 UBS established a branch in Monaco in 1956 and has helped residents and foreign investors take advantage of the favourable investment conditions ever since. Regarded as one of the most reputable investment banks in the world, UBS has analysts in over 50 countries, with approximately USD 2 trillion worth of investment under their watch. 2016 saw USB win the Euromoney award for the ‘Best Global Private Bank.’ The expert UBS analysts are multilingual and take a very personal approach when dealing with investors, ensuring the perfect investment for each client, with complete discretion guaranteed. Benefit from over 150 years of Swiss banking experience. The bank releases a monthly CIO video to provide investors with an insights into the UBS house view: it covers macro-economic markets, and other key investment factors. The House View monitors investment opportunities, as well as potential risks, to ensure that clients are kept up to speed on the welfare of their investment portfolio. HSBC put great emphasis on its private banking operations last year to finish top of the Euromoney Private Banking and Wealth Management Survey 2014. As the quality control authority on private banking in the Principality and indeed internationally, HSBC’s achievement to rise in Euromoney’s ranking from 4th to 1st is no mean accomplishment, particularly considering that there are nearly 20 other private banks currently in existence in Monaco, Monte Carlo. In homage to HSBCs team of dedicated senior relationship managers, HSBC was distinguished in the Euromoney report for having the ‘best range of investment products’ and ‘best services for ultra high net worth clients’. These senior relationship managers act as personal representatives giving expert advice on a wide range of financial subjects from investment to Monaco property purchases and taxation advice. Besides such services, HSBC also offers bespoke asset management, maritime and nautical leasing and even internet banking. Although these are not unusual in private banks in Monaco, they help to maintain HSBC’s high quality customer service and keep them in contention with their nearest competitors Compagnie Monegasque de Banque and Credit Suisse. CFM is officially the oldest bank in Monaco, having been founded in 1922. Today, CFM employs approximately 400 staff across 7 branches and, as a subsidiary of the France’s Crédit Agricole, has a truly global reach, not withstanding its 15% market share of assets under management in the Principality. CFM regularly ranks among the highest performing private banks in the Euromoney survey, finishing first as recently as 2009. The report took into account CFM’s key wealth management figures while also quizzing staff of other banks on the quality of nationwide banks. The decision was influenced by CFMs reputation for providing dedicated account managers, excellent international investment and taxation advice and for its property services relating in particular to Monaco, Monte Carlo and the French Riviera. 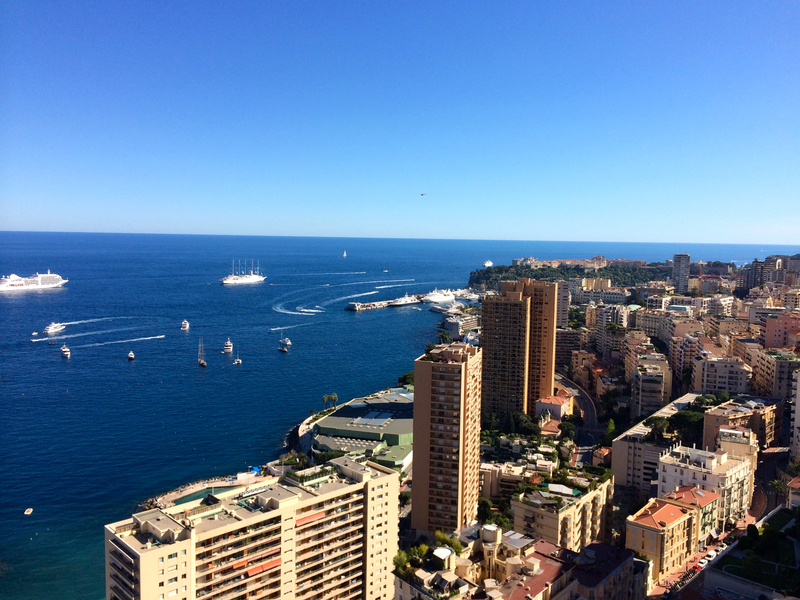 Recommended for you: Best of Monaco Luxury Real Estate. Société Générale is very much the up and coming success story in Monégasque private banking. What began as essentially a Paris-based private bank became a nationwide phenomenon following a partnership with SocGén’s retail bank in 2008. By 2013 private banking centres had opened in 11 cities across France and is now aiming to have a presence in 80 towns and cities in France, closing the gap with BNP Paribas on assets under management. After being named Best Private Bank in France and Monaco by the Euromoney Private Banking Survey 2013, Société Générale looked to meet an increasing demand for private banking by offering its clients with more than €500,000 the chance to transfer from its retail bank to its private bank, a service previously only available to investors with €1 million in assets. A subsequent boost of €31 billion AUM to its private bank has seen projected rises in the number of private bankers employed by SocGén, from 80 to more than 200 in the near future. Another fine private bank in Monaco is Crédit du Nord which has been majority owned by Société Générale ever since 1997. Providing a similar quality of service to its clients, Crédit du Nord offers a well informed regional bank with a highly personalised service while providing all the benefits of a widespread nationwide bank. Crédit du Nord is therefore an ideal bank for those based in Monaco who deal with transactions and affairs in France as well as within the Principality. This entry was posted in General, Living in Monaco, Various by La Costa Properties. Bookmark the permalink.